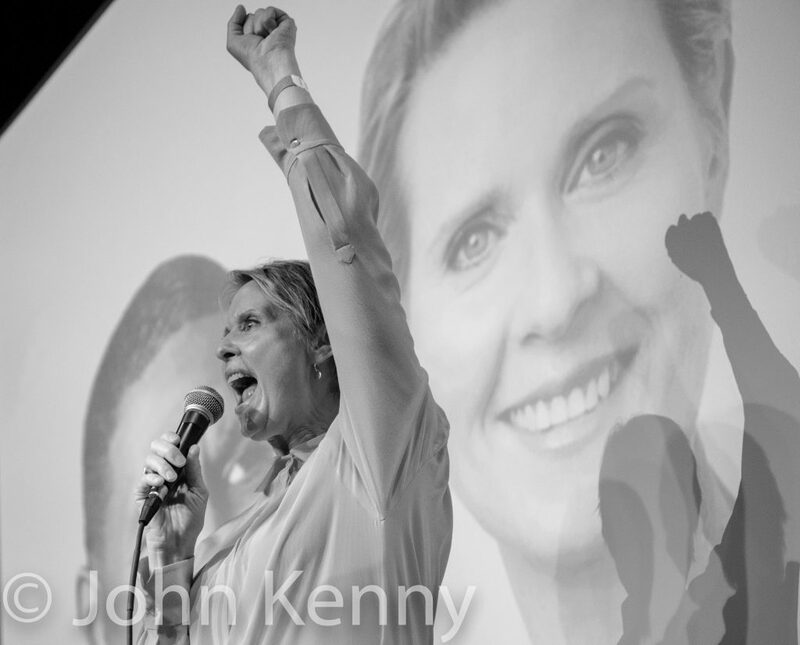 Cynthia Nixon, Jumaane Williams and Zephyr Teachout brought their 2018 campaigns to a close with a shared primary night party in Flatbush. 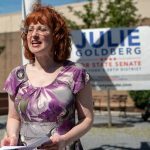 They each lost their race by a wide margin but there was nonetheless a sense of celebration driven by their own belief in their campaigns and by the defeat that night of six of the eight state senate IDC Democrats, including IDC leader Jeff Klein. 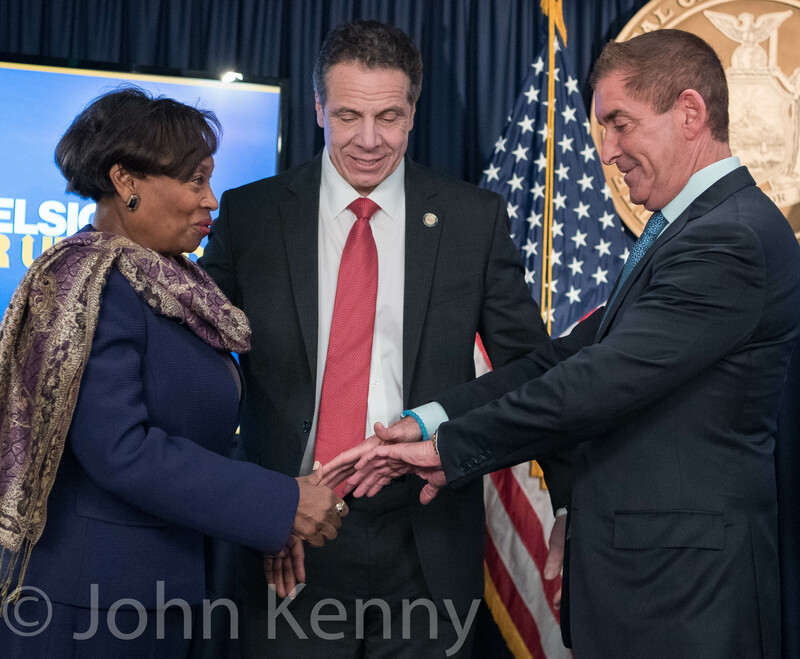 Nixon, Williams and Teachout had endorsed and supported the IDC challengers and their statewide campaigns provided connective tissue for the separate and scattered IDC challengers. The four Democratic candidates for attorney general participated in a televised debate Tuesday. 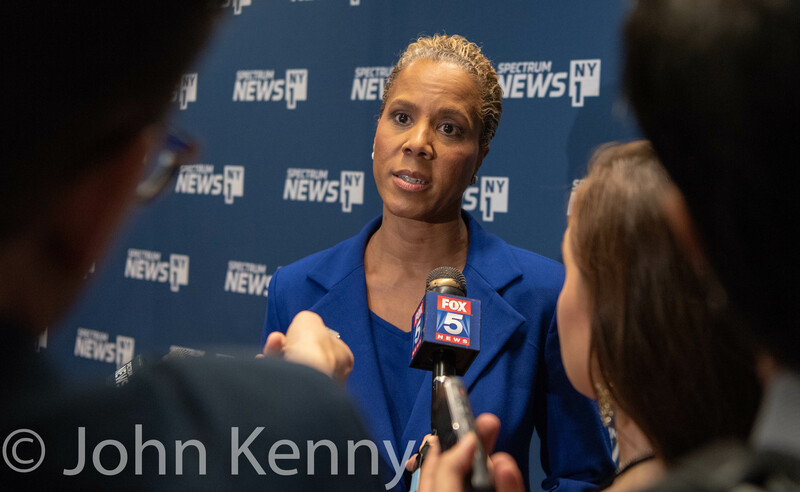 Letitia James, Sean Patrick Maloney, Leecia Eve and Zephyr Teachout appeared at Manhattan’s John Jay College for a 90 minute session hosted by NY1 with moderators Erroll Louis and Liz Benjamin. Photos were not permitted during the debate, so our photo gallery is limited to pre- and post-debate shots, primarily from the spin room. Leecia Eve and Sean Patrick Maloney, along with Republican attorney general candidate Keith Wofford, appeared in the spin room. 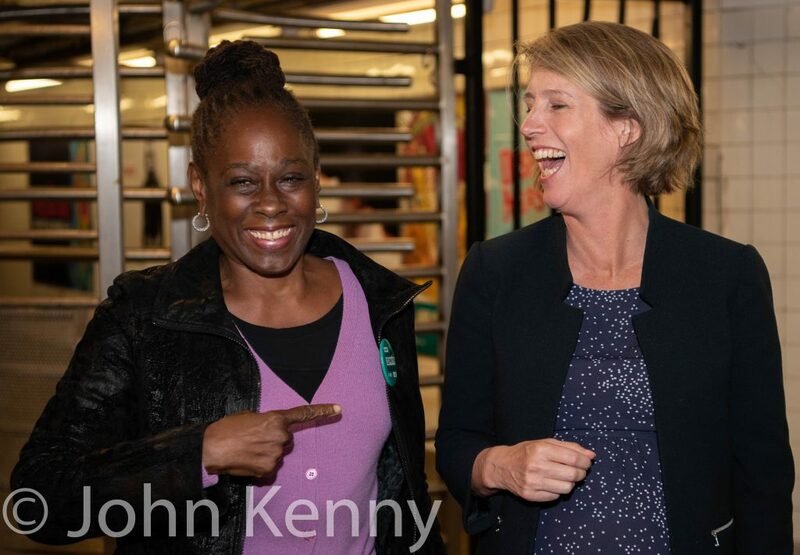 Tish James and Zephyr Teachout did not, although James had several surrogates appear. 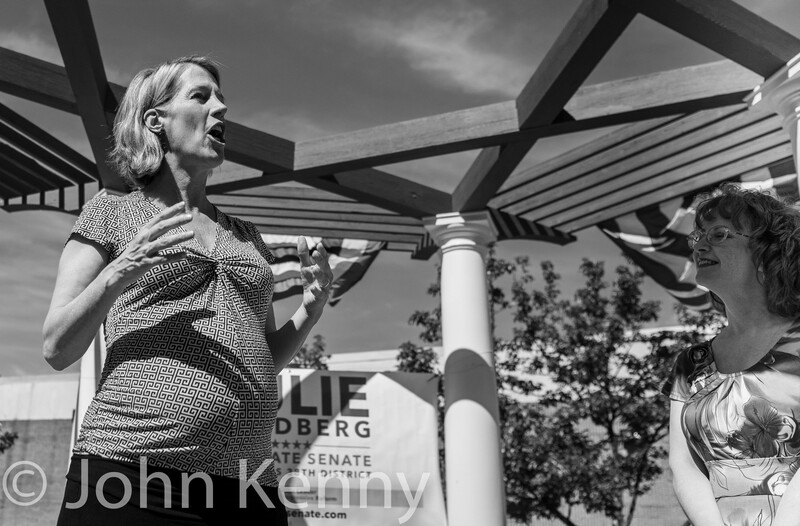 Joining Nixon were attorney general candidate Zephyr Teachout, state senate candidates Jessica Ramos and Robert Jackson and Assembly candidate Amanda Septimo. Former City Council speaker Melissa Mark-Viverito also attended. 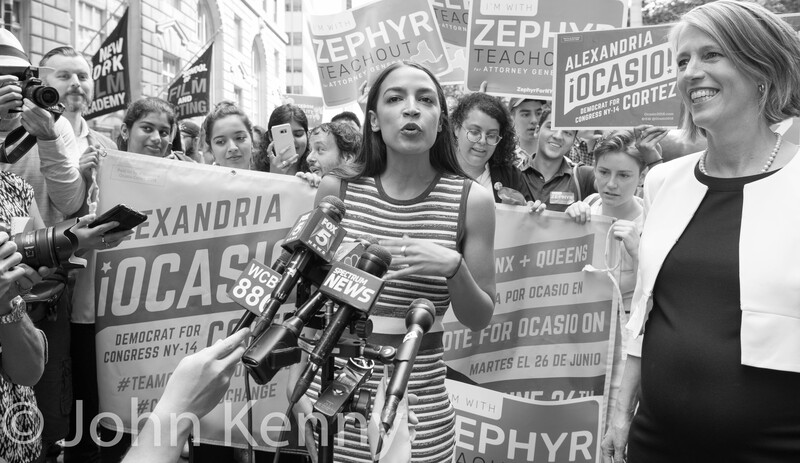 Ocasio-Cortez’s surprise defeat of Rep. Joe Crowley in the Democratic primary in late June has transformed her into a political star with national reach. 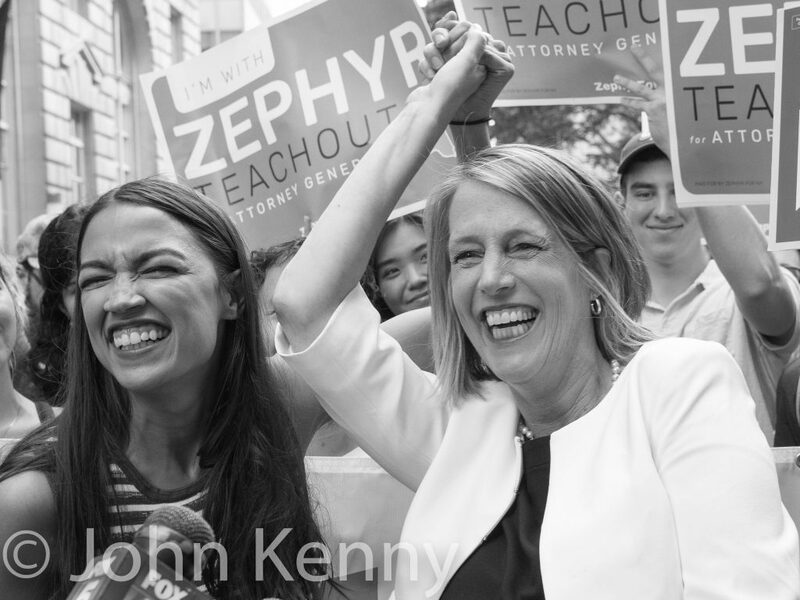 Teachout was one of the few political figures to support Ocasio-Cortez in her race, endorsing her before Teachout was an attorney general candidate. 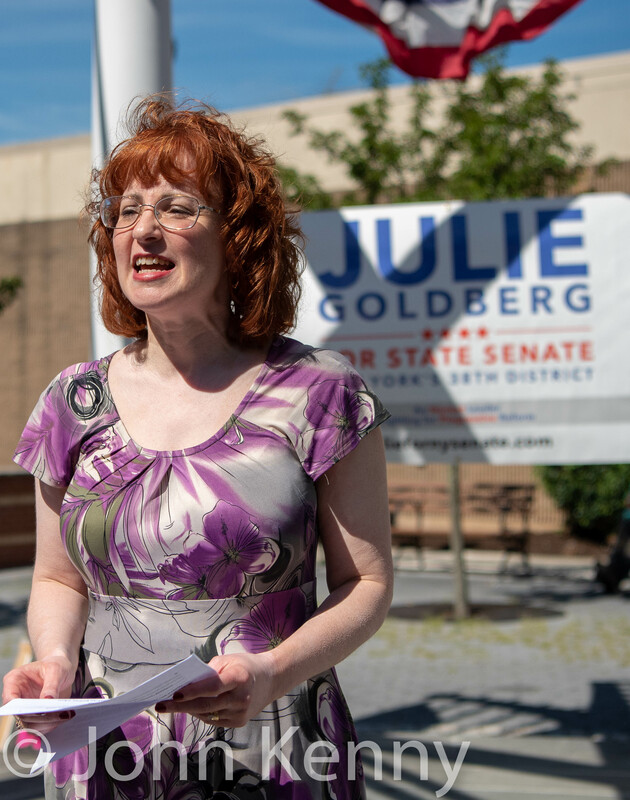 This return endorsement may help Teachout both by drawing financial contributions from Ocasio-Cortez’s national audience and highlighting Teachout’s progressive credentials in the expected four-candidate Democratic primary. 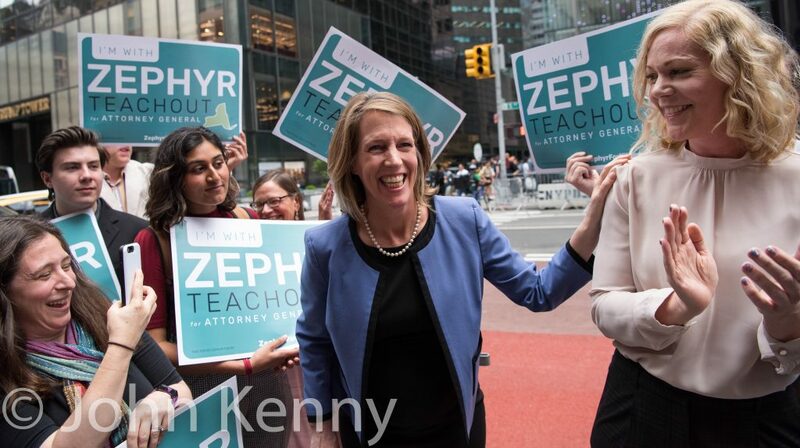 Zephyr Teachout publicly launched her campaign for the Democratic nomination for attorney general with a press conference outside Trump Tower. 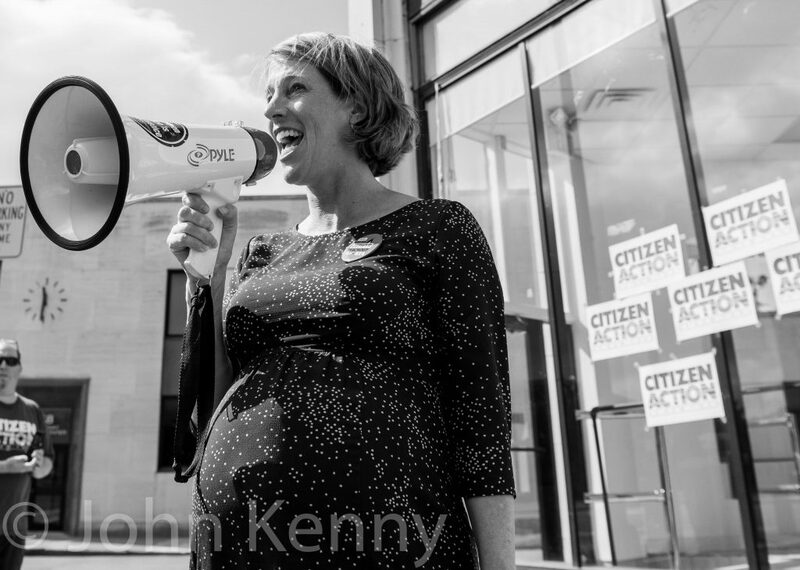 Teachout, a Fordham Law School professor and a 2014 candidate for governor, cast her campaign as centered on litigating a variety of cases against Donald Trump and his administration, going so far as trying to limit questions at this press conference to those anti-Trump efforts. 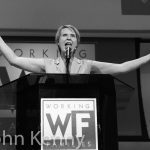 The New York Working Families Party completed its rejection of Andrew Cuomo, nominating Cynthia Nixon for governor and Jumaane Williams for lieutenant governor at its recent convention. The WFP had endorsed Nixon and Williams in April, but those endorsements did not actually place them on the ballot as candidates. The party held a two-part session at Harlem’s First Corinthian Baptist Church, with a formal nominating meeting in an upstairs room followed by a rally and candidate speeches in the church’s main hall. 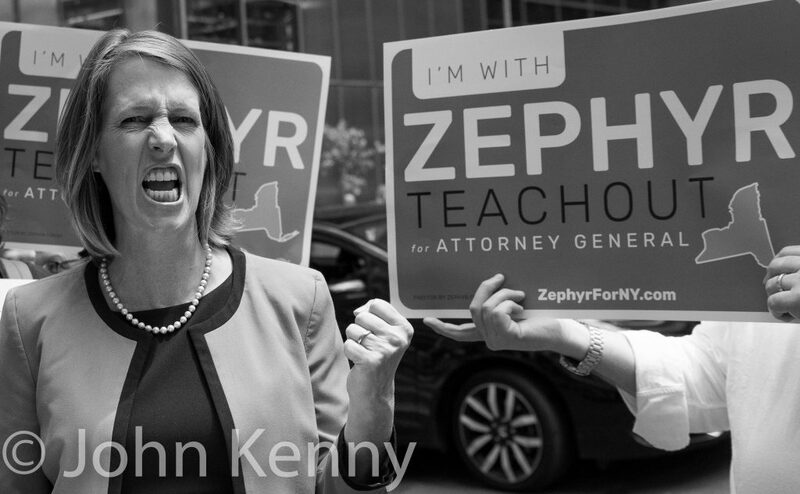 Governor Andrew Cuomo supports former opponent Zephyr Teachout in her current congressional campaign, but he couldn’t quite mention her name today. Asked at an unrelated press conference today whether he’ll endorse Teachout and whether he “hope[s] that she wins” Cuomo replied flatly that “I will support the Democratic nominee for Congress in that District … short answer, yes.” Teachout won the 19th Congressional District Democratic primary in June and faces 2006 Republican gubernatorial candidate John Faso in November’s general election. Teachout, of course, was Cuomo’s 2014 Democratic primary opponent, garnering an impressive 33% of the vote with a shoestring campaign. 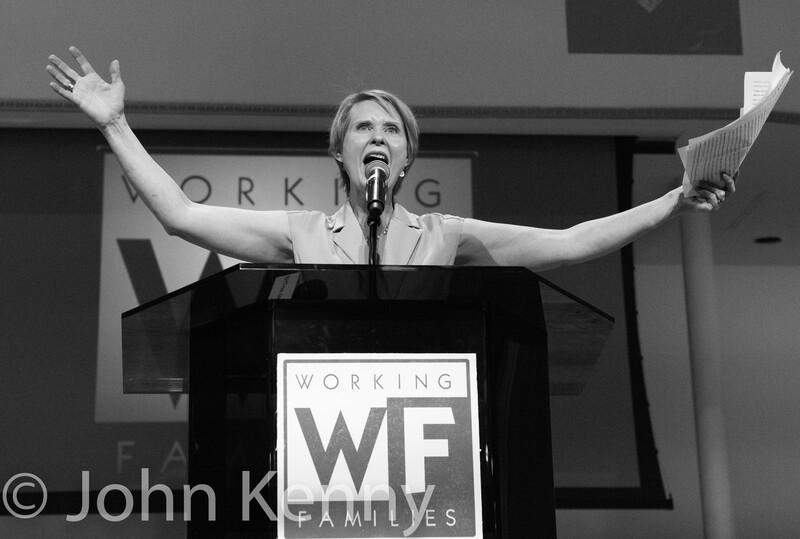 Cuomo did his best to ignore her candidacy, not actively campaigning until the weekend before the 2014 primary. 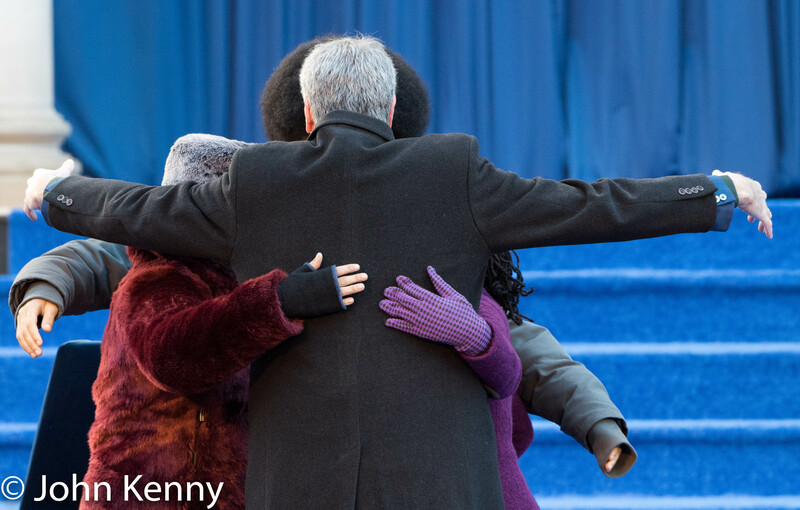 In a fitting dramatic twist, Cuomo then literally ignored her when she approached him at a parade as he began overtly campaigning.